iPhone 7 Manual Visual Voicemail iPhone Pro - To setting Up Voice Mail on iPhone 7 The Visual voicemail lets you see a list of your messages and choose which one to listen to or delete, without having to wade through all of them. A badge on the Voicemail icon tells you how many unheard messages you have. Tutorial iPhone 7 to Set Up Voice Mail on iPhone 7 is some an easy guide. 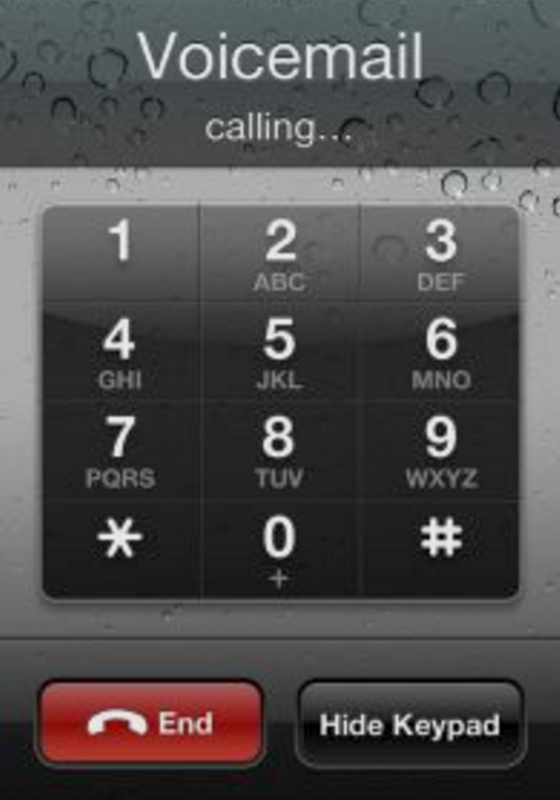 The first time you tap Voicemail, you’re prompted to create a voicemail password and record your voicemail greeting. 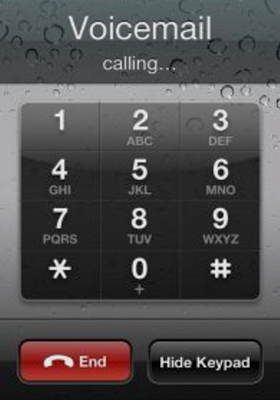 Tap Voicemail, then tap a message. To listen again, select the message and tap . 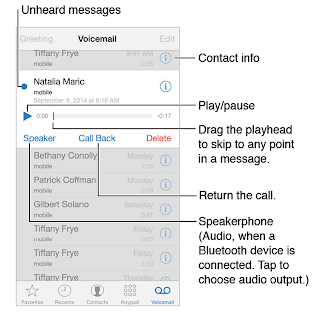 If visual voicemail isn’t available with your service, tap Voicemail and follow the voice prompts. Messages are saved on your iPhone until you delete them or your carrier erases them. Setting Delete a message. Swipe or tap the message, then tap Delete. iPhone Note: In some areas, deleted messages may be permanently erased by your carrier. Your voice messages may also be deleted if you change your SIM card. •• Listen to a deleted message: Tap the message. •• Undelete a message: Tap the message and tap Undelete. •• Delete messages permanently: Tap Clear All. iPhone 7 User Guide to Update your greeting. 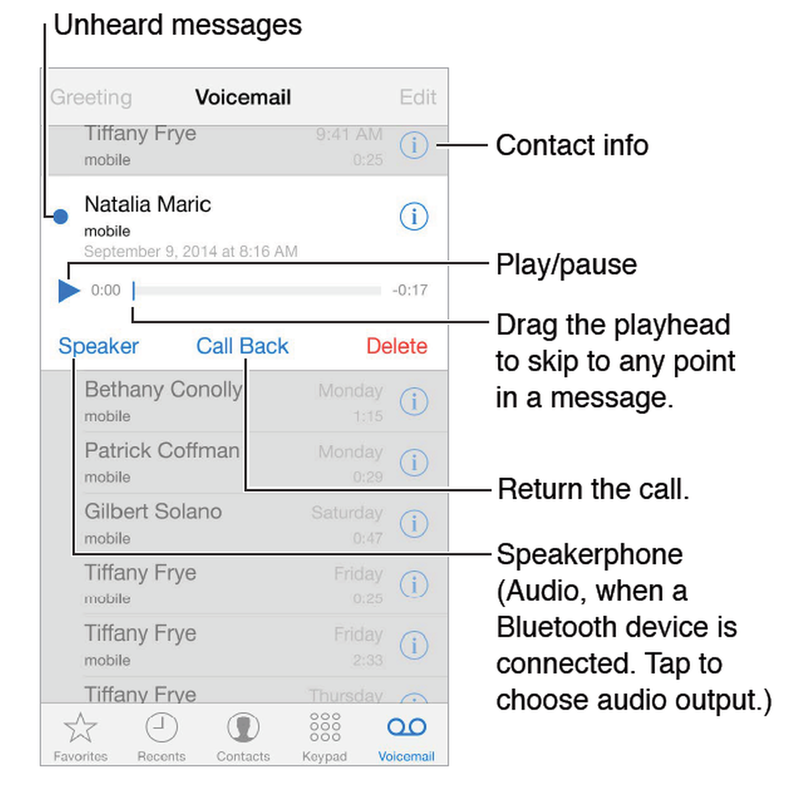 Tap Voicemail, tap Greeting, tap Custom, then tap Record. Or, to use your carrier’s generic greeting, tap Default.